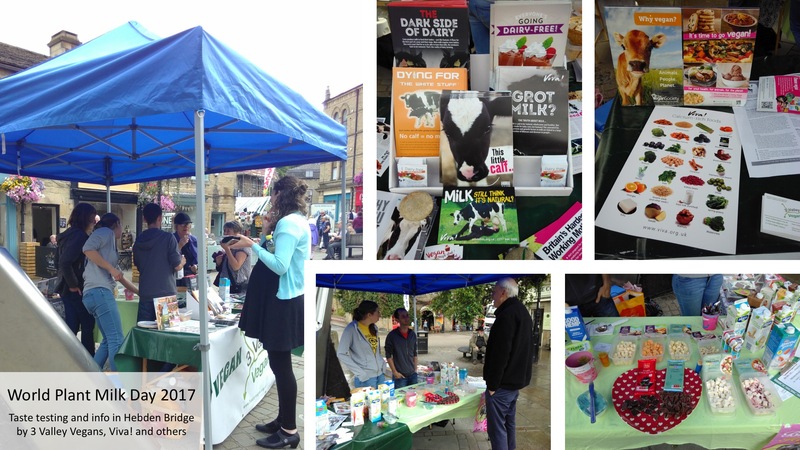 With support from the Vegan Society, we will show you how and why to go vegan for a month – free goodie bag if you pledge! If you would like to volunteer even an hour of your time towards running this not-for-profit fair, we would love to hear from you! Please phone or email us on 01706 816848 or elizabethking@talktalk.net – thank you. Edit 10 February: Did you come to our fair last week? We would really appreciate any feedback you may have, good or otherwise! 3 Valley Veg*ans will be celebrating the annual World Vegan Day, November 1st, with a gig in Todmorden. What: A gig featuring local artists who’ve pledged to go vegan for the day. Come and join them at our celebration. Included in ticket: entertainment and vegan meal. Please bring your own alcohol and drinks as supplies are limited at the venue.